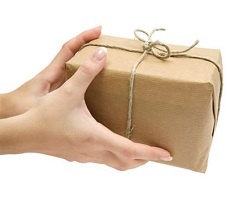 Tenants lead busy lives and are often not available when a courier delivers parcels to their home. As a customer experience business Jungle Property saw the opportunity to improve the experience of renting through Jungle Property. Tenants can now have their parcels delivered to the Jungle Property Glastonbury office during normal office hours and Jungle Property will deliver the parcels to their home – same day. Tom Morgan Head of WOW! at Jungle Property says ‘We are constantly looking for ways to delight the customer and raise the bar in terms of the customer service our landlords and tenants receive and we hope this new free service does just that’. Parcels will be placed inside the property the same working day we receive them so please do not forget to let us know when to expect your parcel and give us consent to access your property in your absence. Applies to Full Management properties for which we hold keys only and does not include parcels greater in size than 61cm x 46cm x 46cm or heavier than 20kg so no white goods or canoes please!